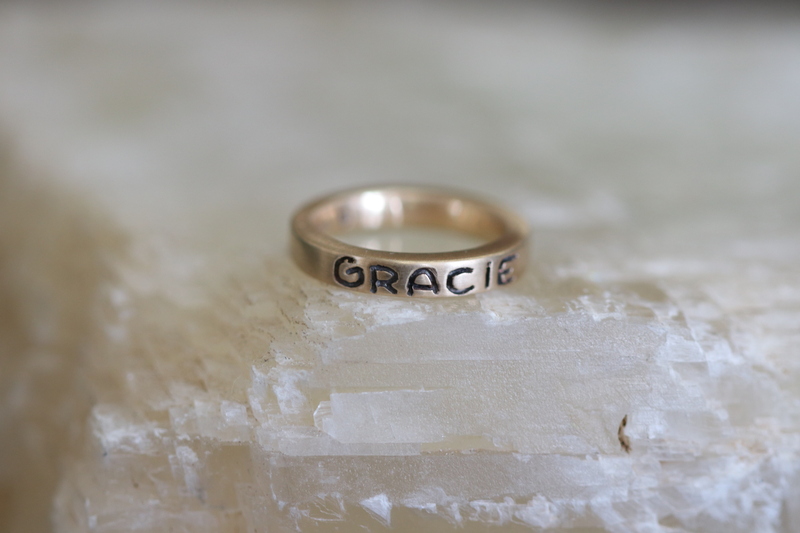 Our 14K Gold hand carved rings make wonderful gifts and can be created in White, Yellow, and Rose Gold. 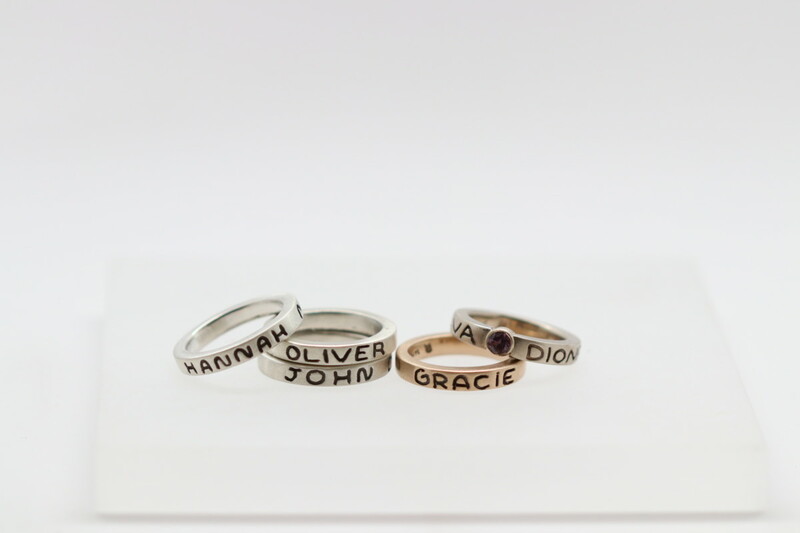 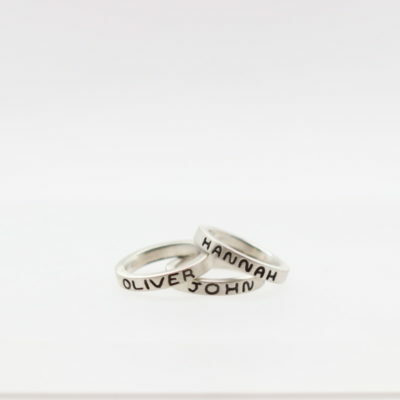 Most Mother’s Rings can hold as many as 18 characters allowing for the first and middle names to be on the ring. 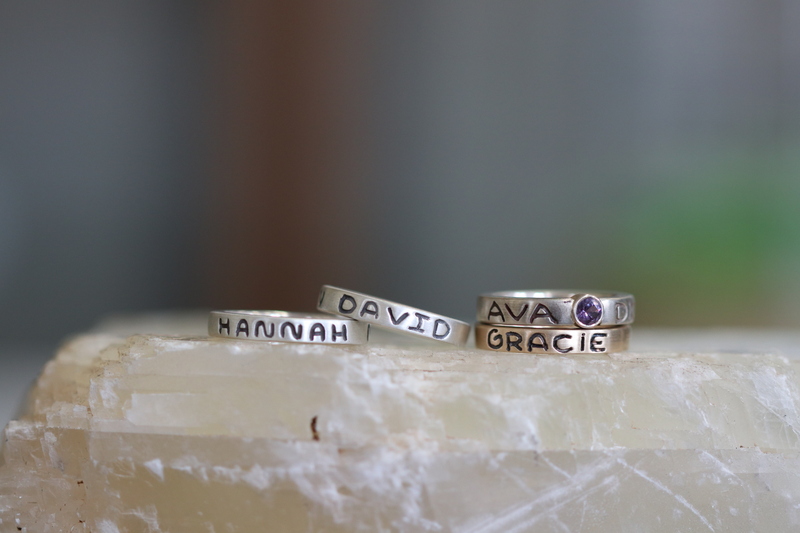 If the names are particularly long, consider using just the first name. 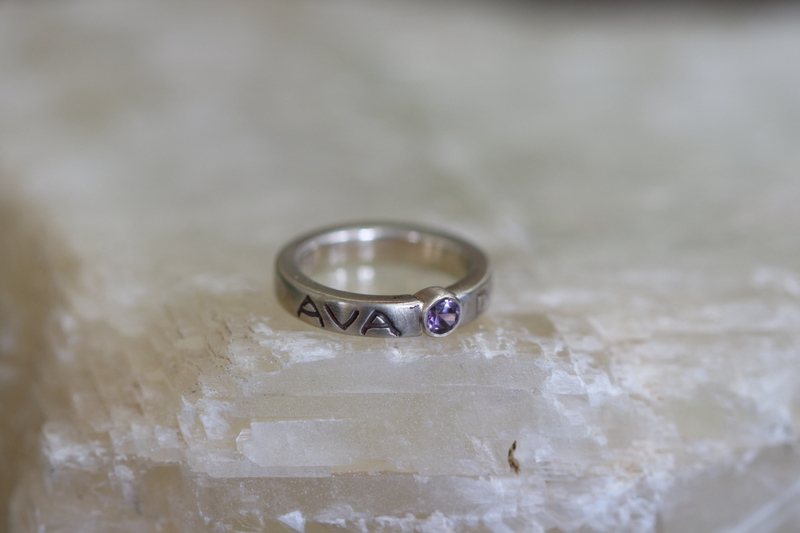 You may also select to add a faceted birthstone to the ring. 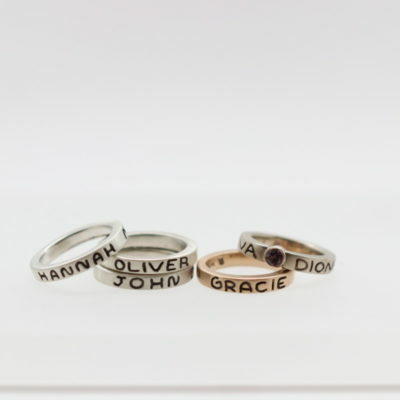 When buying multiple rings, the discount will be taken in your shopping cart. 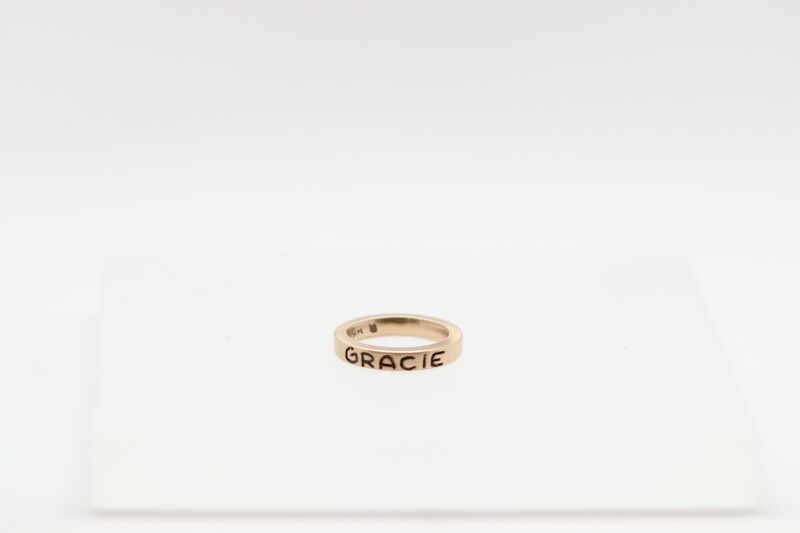 For our gold Mother’s Ring, your first ring is $695.00, each ring after that purchased in the same order will be $645.00.